Craig Joseph Poff is Beaufort County’s only Law Office that represents clients in both Bankruptcy matters (personal or small business) or Family Court actions, with 27 years experience before the United States Bankruptcy Court for South Carolina, and 38 years experience in Family Court, including the South Carolina Family Courts, since 1990. In addition, the Poff Law Office represents clients in most areas of civil litigation, personal injury matters, contract issues and other practice areas. We look forward to being of service to you. 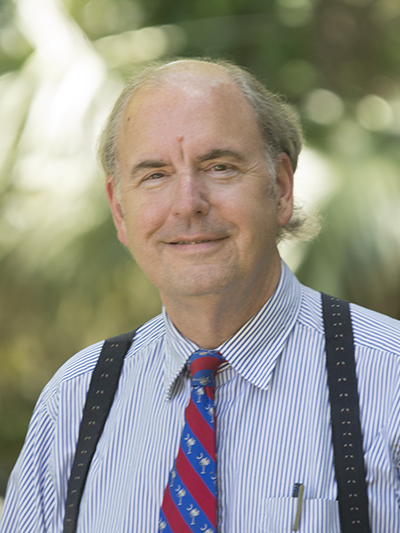 Craig Joseph Poff has practiced law in Beaufort, South Carolina since 1990 and has been engaged in solo practice since 1993, serving literally thousands of local residents, in matters large and small, since that time. He was first admitted to the Bar in the State of Maryland, in 1979, and later that year to the Bar of the District of Columbia. Upon relocation to South Carolina in 1990, he was admitted to practice by the Supreme Court for South Carolina, and immediately thereafter, the U.S. District Court. While he gave up membership in the Maryland Bar, he is still a Member, on inactive status, with the District of Columbia Bar, both local and Federal. Craig was born in Washington, D.C., explaining the Nationals and Redskins items you will see at the office, but has lived in the South Carolina Lowcountry, exclusively, since 1990, is married to Yolanda Berg Poff and Father to Emily Berg Poff-Dandridge, who is College of Charleston Class of 2011, now living in Richmond, Virginia. Craig and Yolanda met literally on stage at the Kennedy Center with the Washington Opera, when paired together as a couple by Gian Carlo Menotti in “La Boheme”. 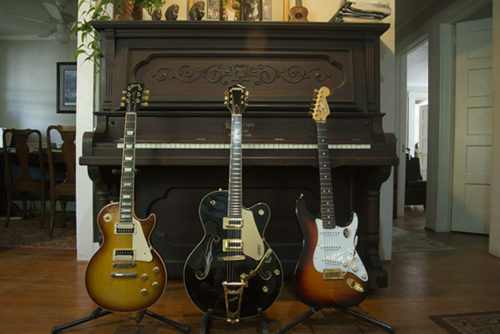 Music is still the theme of the Office, with many instruments on hand and perhaps the only Law Office where you will find an Upright Grand Piano. 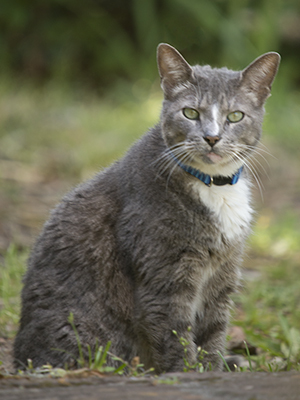 Meet Wally, who lives at our office full time. 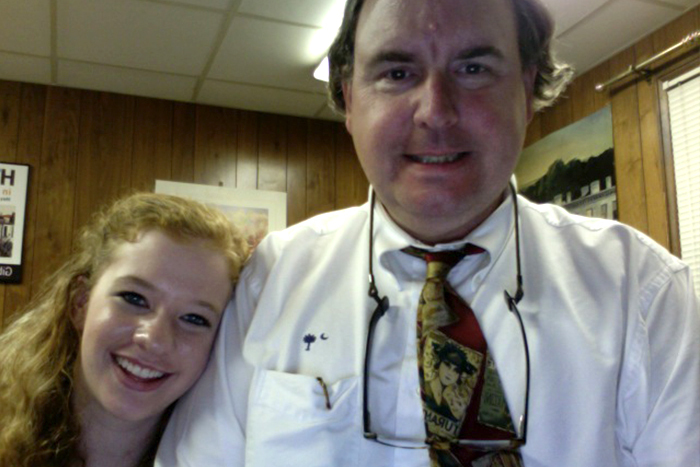 He is a wonderful friend of ours who loves greeting each person who comes by the Poff Law Office. He looks forward to meeting you! 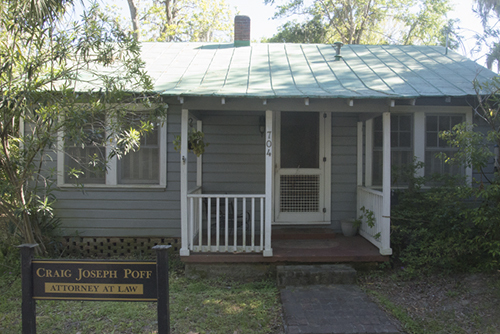 Poff Law Office is located at 704 Prince Street in downtown Beaufort, close to USCB-Beaufort. It is less than half-block off Carteret Street. Please click on the map for interactive directions! I will always prepare your pleadings and Bankruptcy paperwork personally and will not delegate your work to an Assistant. Evening Office Hours are often available; please call or contact us to schedule an after-hours consultation. I will always appear at Bankruptcy Court, I will always appear with you and not ask another attorney to “stand in” for me; if you are in Court, it is your case and you want your Attorney with you! I can assure you that our fees are fair and reasonable and we invite you to compare with other offices. While response time to communications can vary depending on that day’s activity, we will always respond to you quickly, especially if you use email rather than telephone. Referrals and prior clients are our best source of “advertising”. Please see personal testimonials here.